I don’t go to the theatre much these days. Now that I’ve fled the European scene, to curl up comfortably in the New Zealand countryside and by the Australian seaside, there isn’t much opportunity. I have my yearly treat of beautiful music at the Stradbroke Island Chamber Music Festival, and just occasionally pop into Christchurch to see a student production at the National Academy of Singing and Drama, or the local Court Theatre’s annual production of a festive season musical. I’ve been a bit inconsistent with my attendances over recent years, and for very good reason. That reason? The shows that the school and the theatre have chosen to do. Last year, the Court did the raucous Legally Blonde which I slaughtered, writhing in agony, when I was subjected to it in Vienna. I stayed home. The year before I braved Mary Poppins which turned out to be an unconvincingly rewritten and musically infiltrated version of the famous film without any of its charms. Then there was a mashed-up Mikado. As a G&S guru I have no wish to see the great men’s great works given self-conscious music-hally remakes. Again, I stayed home. Then, one year, the students did Hair. Hair! Per-leeeease! Another, Beauty and the Beast. I actually went to that one. Unfortunately. There have been plenty of good ones, though. 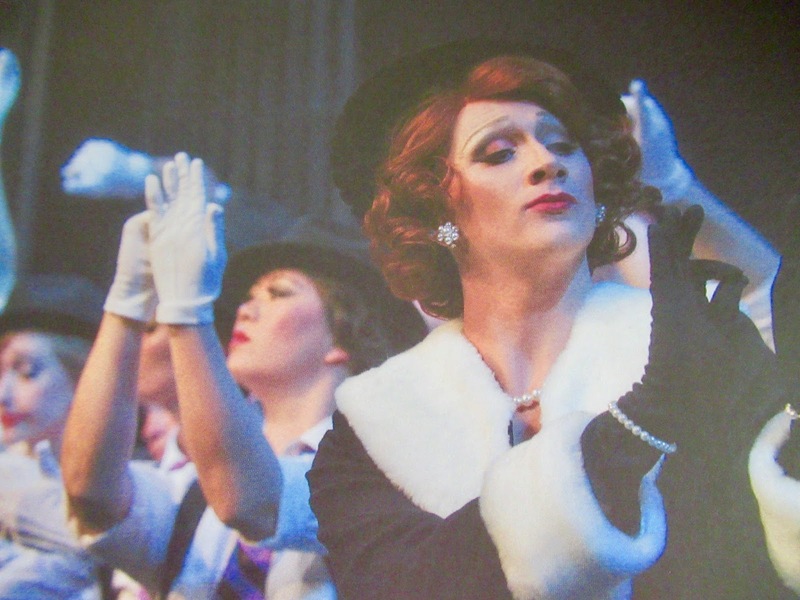 Over the years, I remember fondly a fine City of Angels, a super Music Man, a dazzling Tell Me on a Sunday, a sweet and beautifully directed Once on this Island, a very interesting Spring Awakening, tidy versions of Rodgers and Hammerstein, an amazingly competent student Cats, and a zingy Grease! When they get it right, in Christchurch, they get it right. This year, I knew straight away, upon the announcement of the show, that I would be going. The show was to be Chicago. Now, normally when I have seen a show, particularly one as stunning as this was, I don’t go again. I stay with my memories. 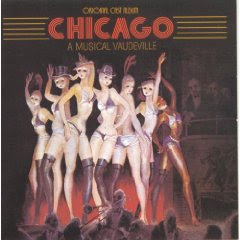 But very soon after this time, I swapped performing for casting and agenting, and in the course of my duties I was forced to see Chicago performed again. In England. And, height of horror, in an inept film version. No Verdon, no Rivera, no Orbach … which meant that, perforce, something had to change. Without the two most dazzling actress-dancers on Broadway, the dance content had perforce to be dumbed down. The only trouble was, in the productions I saw, it wasn’t replaced by anything else. And those productions have faded utterly from my memory. Well! I’ve had problems with Court Theatre casting in the past, but someone seemed to be getting it awfully right this time ..
To come back to the sheep, they certainly had. So last night, I, my walking stick and good friend Jen at the steering wheel began the safari to Addington. Christchurch is a mite easier to navigate, seven years after the earthquake, but for some reason the Court had chosen to have its opening night on the very same night that the annual Christmas in the Park (on 25 November!) celebrations were being held. The 25km took us nigh on an hour. In the past, I have had quibbles with Mr Robertson’s staging (too ‘by the book’?) and choreography (‘one more Ralph Reader straight line, one more Black and White Minstrels routine and …’). Tonight? He hit the tone, the style, he showed just enough originality while still being faithful to the original. This is far and away the best piece of work from his hands that I have seen in fifteen years. A stylish and wholly effective triumph. Of course, as a very wise major director said to me half a century ago (while hiring me as his casting director), ‘Directing is easy. It’s 90% getting the casting right’. He wasn’t wrong. And tonight just proved that. 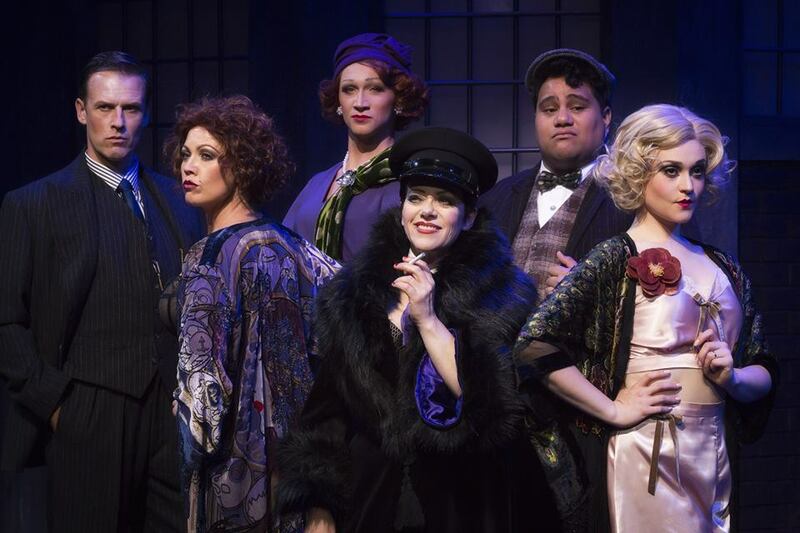 Chicago has some fine roles, but it of course it all centres on that infernal trio: Roxie Hart, Velma Kelly and Billy Flynn. And the greatest of these is Roxie. Roxie was played by the young actress (ex-of NASDA) Nomi Cohen. She didn’t attempt, and the director didn’t ask her to, the higher flights of Verdonical choreography. I mean, why would you? Either you’re Gwen V or you ain’t, and this lassie ain’t. She’s Nomi C, and I’m going to say right away that her performance in this half-realistic, half-caricature role was a bloody miracle of talent and taste. Her routine as Billy’s ‘puppet’ has completely obliterated from my mind the long-resident picture of Gwen V in the same scene. 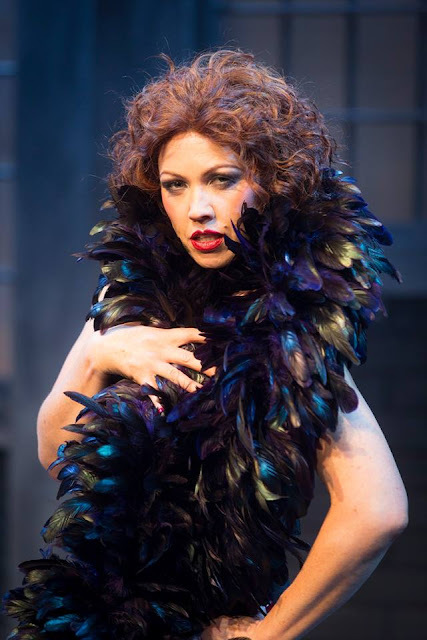 She can sing up a storm, she can dance very acceptably, and act … Court Theatre, I think you have found a treasure. This young lady will establish herself … has established herself … as one of the most interesting actresses in l’il old New Zealand. Ihope I’m not dead when she’s playing Lady Macbeth one night and Dolly Levi the next. Oh! It’s the greatest joy of a talent-spotter’s life to be in at the birth of a new ‘star’. Of course, to keep the balance in the show, you need an equally strong Velma Kelly. Darlene Mohekey burst glamorously on to the stage with a grand opening performance of the famous ‘All That Jazz’ and headed on, full-bore, from there with a lively and energetic performance. Being Darlene M and not Chita R, she, like her colleague, limited the dance element in the role, and the result was perfectly satisfactory except, foreseeably, in Chita’s dance showpiece ‘I can’t do it alone’ which might have been better cut. It got just a bit too loudly vulgar, even for American vaudeville! Roy Snow was Billy. A wholly perfect Billy. Jerry who? I have seen this actor before, in The End the Rainbow, and was struck then by his beautifully sympathetic and toned acting. 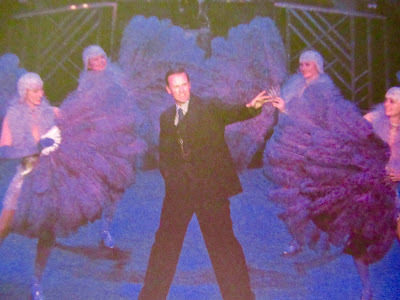 Billy Flynn, of course, is anything but sympathetic! And varied tones are not in his vocabulary. But Mr Snow is nothing if not versatile, and he struck precisely the right key as the two-dimensional lawyer with dollar-bills in his eyes, singing and dancing with sleazy ease without ever going over the top. But this production does not survive on its lead players alone. It is cast in superb depth. When Rutene Spooner as the dumbcluck cuckold of the affair appeared, the audience forgot they were watching a comic strip, and empathized with him and his hurt wholly. And rightly so. It was a gloriously gentle and comic performance of the ‘Mr Cellophane’ of the story, and the calls and applause at his exit witnessed his rapport with the house. Me, I would just say he was the best Amos Hart I have ever seen. And that includes Broadway. And then it happened again. 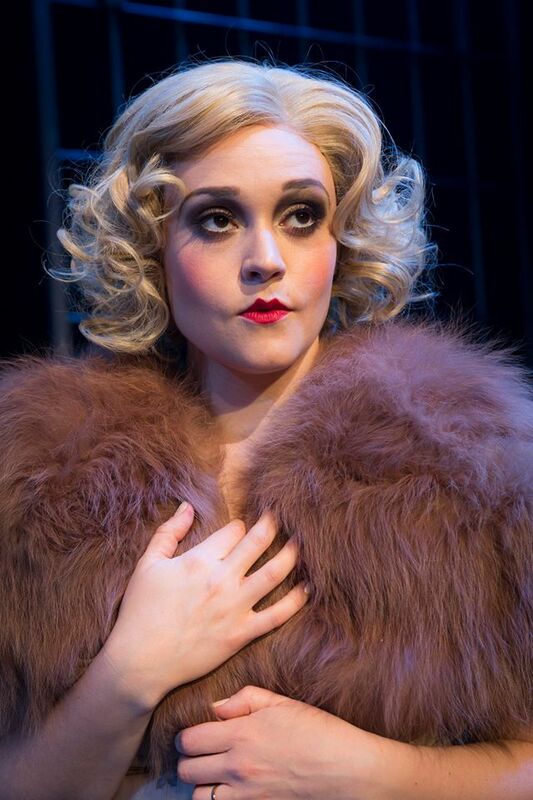 The role of Mary Sunshine is a difficult one. The actor/actress playing the part has to, as well as delivering the difficult aria of the piece, tread very, very delicately the line between burlesque and comedy. Isla Alexander must have very tiny feet. They never budged a millimeter off that line. Gloriously made up, wigged and dressed like a cross between Bea Lillie and Maggie Smith, with just enough of the coy mannerism the part demands, this performance was way, way the best of the role I have seen. Yes, Broadway included. Warning notice. Over the years, in my career as a critic and commentator I have bumped into provincial journalists and travelled small-town families who utter such fooleries as ‘Yes I saw Les Misérables in London, but it was much better when I saw it at the Hokitika Amateurs’. Tear hair (if I had any) quietly. The two paragraphs above are NOT in that category. I think my credentials exempt me from suspicion. When I see a spade I call it a spade. When I see gold, I just give much thanks. The cheekiest bit of off-beat casting came in the role of jailor Mama Morton. Originally played by a bass-baritone ‘bull dyke’, here it was taken by the petite Eilish Moran, who I had enjoyed so much as Judy in The End of the Rainbow. It took me a moment to get my head round a pixie-ish mama rather than a predatory one … but talent will out, and Ms Moran’s duet with Velma, ‘Class’, was one of the musical highlights of the evening. The six boys and six girls who played ensemble and small parts were excellently chosen (a special word here for Hillary Moulder as an affectingly ‘real’ Hunyak), Richard Marrett and his band of six provided the joyously characteristic accompaniment … there was almost nothing to fault. Although of course I shall find something. If I were King (am I? Oh), I would revise some of the sound balance. At times, from where I sat, the band overwhelmed the singers. Similarly, some of the singers – Velma, notably – seemed over-amplified. Leading to crudity. And we don’t want that. So what else can I say? A musical I thought I could never enjoy fully again after the Gwen-Jerry-Chita experience has been given back to me. Thank you, Court Theatre. And, now, please don’t go back to doing trash again next year. 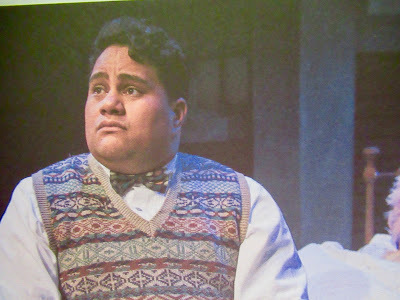 But, in the meanwhile , I can say simply that this is the best production of a musical I have ever seen in New Zealand.